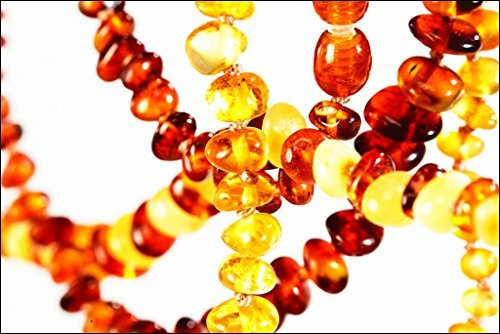 Amber is a natural resin that has been a natural remedy for pain-relief used in Europe for many centuries. 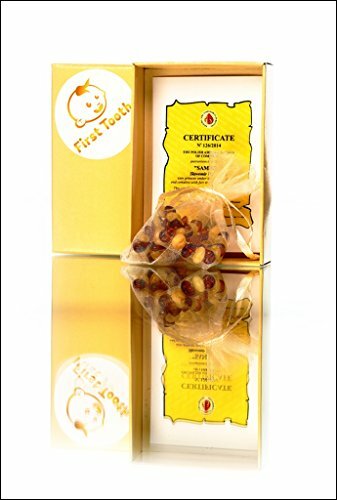 First Tooth Amber Teething Necklaces are handmade in Poland using only 100% natural and authentic Baltic Amber. 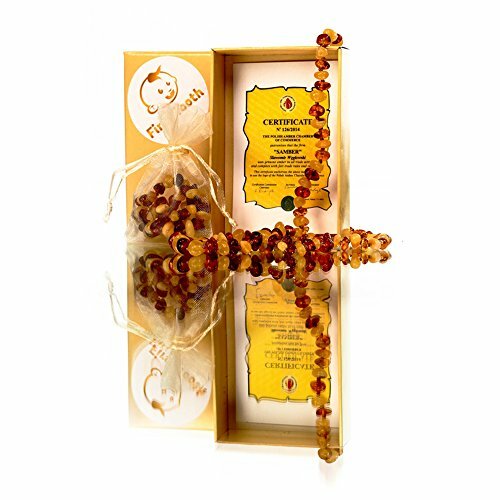 As amber warms with the body’s temperature it releases natural, beneficial oils that contain succinic acid. The oils, through the skin, get into the bloodstream to help reduce teething pain and drooling, fight inflammation and alleviate many other conditions such as headaches. 1. 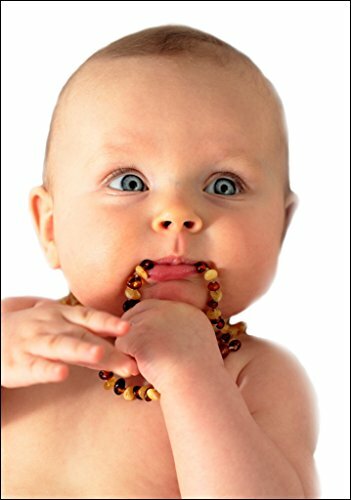 Remove the necklace before bath time. 2. Remove the necklace before applying lotions, sunscreen etc. 3. 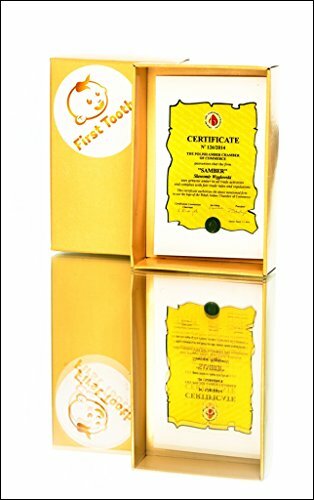 The use of soft cloth is recommended when polishing Amber.STOP YOUR BABY FROM CRYING with First Tooth 100% NATURAL, NON-INVASIVE remedy for pain-relief. 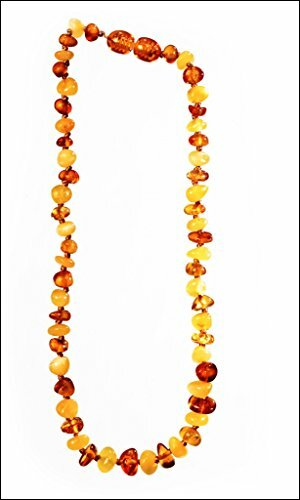 SUCCINIC ACID “a natural pain reliever” -Natural amber beaded necklaces contain around 8% SUCCINIC ACID by weight. Amber warms with the BODY’s TEMPERATURE and releases oils rich in SUCCINIC ACID that are absorbed into our blood stream. Also, succinic acid stimulated thyroid glands to help reduce drooling while teething. 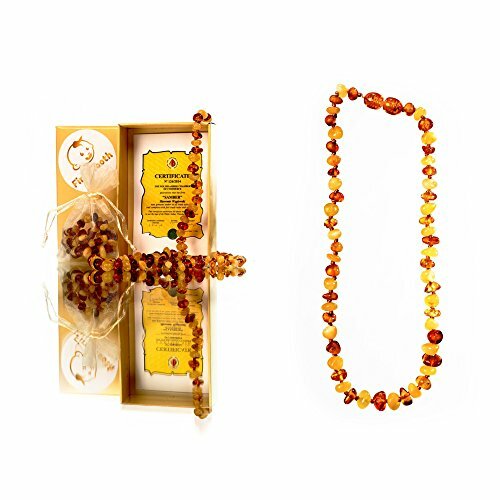 100% AUTHENTIC – all our necklaces are MADE IN POLAND using only GENUINE BALTIC AMBER come with a CERTIFICATE OF AUTHENTICITY. 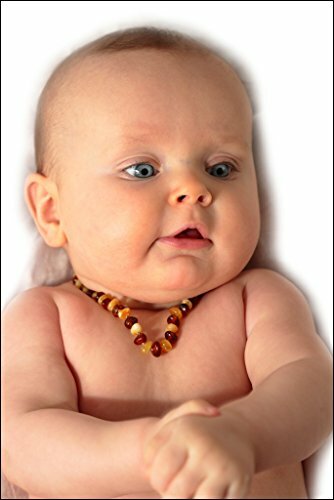 NON TOXIC, SAFE – All First Tooth necklaces are NON TOXIC, SAFE to CHEW ON, SAFETY KNOTTED and have a safety screw clasp and are on average 12.5″ long to ensure your toddlers SAFETY and COMFORT. 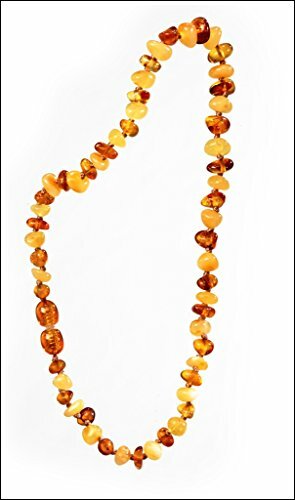 DURABLE – with proper care First Tooth Amber Necklaces will last indefinitely. For more care information please check our product description.